In shoe manufacturing, the very first thing is a last. A last is a mechanical form with a shape similar to a human foot. This is what the shoe is formed around it. A last that has been well designed will allow a well fitted shoe in a variety of styles. It has a massive impact on how the shoe will eventually fit and how good it will look. The best last designers are able to strike this balance between looks and comfort. Lasts are generally viable in the industry for around two to three years but can last a lot longer. Some years ago, a company called Hotter bought some of Clarks shoes’ old lasts to start their business with and had fantastic success with it – even though Clarks believed that the lasts no longer had value. There are also lasts in the industry that have stood the test of time and are highly sought after in the industry. These days lasts are produced with 3D software. The template is designed and cut out and the material is then cut into the required shape. A model is made to check dimensions at specific places and once this is satisfactory, the entire range is produced. A working last is cut into two pieces and hinged so it can be removed from the shoe without getting damaged. A last model maker has to know the anatomy and physiology of feet and also know how age and gender affects the shape of the foot. It is quite an art! 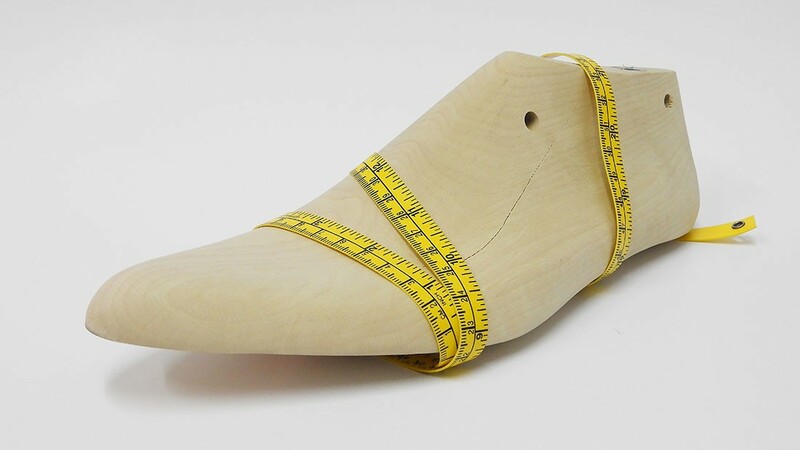 Interesting fact: When a shoemaker makes a custom last for a customer and their feet start aging, they don’t make a new one, they simply add pieces to accommodate the knobbly parts of an aging foot. One of Shoepack’s exciting new features involves the software creating production tickets based on the availability of the last. With this feature, the manufacturing process becomes more efficient because fewer changes are made to the last.